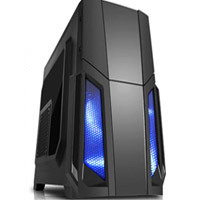 I boought a Pc for home and office use. The best thing that i noticed at Arbico was that the parts they offered could easily be exchanged by your own choice. They found a great offers which are even better than what I had a look at on their website. I would reccommend Arbico to every one out there.. if you have any queries write to them they answer insanely fast!! Arbico gives an prior priority to its customers. They will not only sale thier products but are curious to know what you want with the product. you can get a great conversation with them both on mail and call about pc setups, hardware etc etc!! I had been looking around the internet for a cheap place to build a computer a couple of years ago i wanted and came across Arbico. Easy to navigate and very helpful customer service and had no problems with the computer I've chosen from their wide range of stock available. Recently I had a small problem and contacted Arbico as a last resort of a lost windows key and they sent me my key within minutes on email with kind words and a friendly service. Would definitely recommend. Ordered my second PC from Arbico,first one ran faultlessly for nearly 5 years. They quoted 10 days delivery initially, but when I explained my pc was out of action they requoted 5 days. Arbico maintained that 5 day promise, and kept me informed every step along the way.They made recommendations for improving the rig which I accepted. The PC was very securely packaged and protected. Faultless customer service,by both phone and email. Based on personal recommendation, my family has bought three machines from Arbico (2013, 2015 and present) and we have had ZERO hardware failures. If you are doing a custom build, contact Arbico at the beginning of the process - take advantage of their expertise and work WITH them to select the correct components and ensure compatibility. Thorough testing is as important as the physical components, and that is where I think Arbico out-performs cheaper competitors. The old adage is as true today as it ever was - you buy cheap, you buy twice. If you look through reviews you will find positive and negative for ANY major UK PC builder - but I say again: ZERO hardware/component failures with THREE machines over FIVE years, ZERO blue screens, fans correctly aligned in case to ensure proper airflow, and so on.... On this occasion, Arbico actually supplied superior RAM to the one I selected (1866 rather than 1600). Thoroughly decent chaps, and patient with people like myself who are enthusiastic amateurs (not an expert by ANY stretch!) that require a bit of guidance. Work with them and you will get what you want. Fast delivery, PC arrived in time and working perfectly. Arbico Computers is a small, fast growing UK based company specializing in Custom Built Computers. Our slogan is "...more personal than a PC". We started out as a simple custom PC builder on eBay with a small range of Home & Office PC Deals. However we quickly began to grow and diversify. 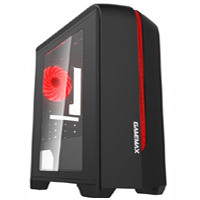 The range of Desktop PCs we have on sale now range from the Budget Gaming PC to more exciting hi end offerings such as the Extreme Gaming, Overclocked, SFF, Media, Quiet / Silent PC range, Multi Monitor / Trading PC and Hi End Video Editing Workstation along with next day delivery option! Over the years Arbico has won countless awards from leading industry publications and review sites. Arbico’s customizable computers have been admired for the quality of components used, the performance achieved, the quality of the building and the unbeatable prices. Among others we have won awards from PC Advisor, Personal Computer World, Total PC Gaming and Hexus.net. Our PCs have time and again beaten others from companies much bigger than ours! Whatever part of our system range you are shopping with - Our experienced team members can discuss your requirements and suggest a suitable custom built PC for you. Alternatively we can also provide a quote for the exact specification you would like. 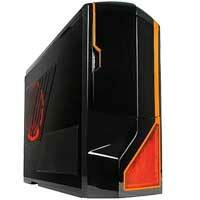 Our aim is to provide quality desktop custom PC systems, servers or workstations at a very low price.